Once upon a time, a game named Massive Chalice was Kickstarted to the tune of $1,229,015. 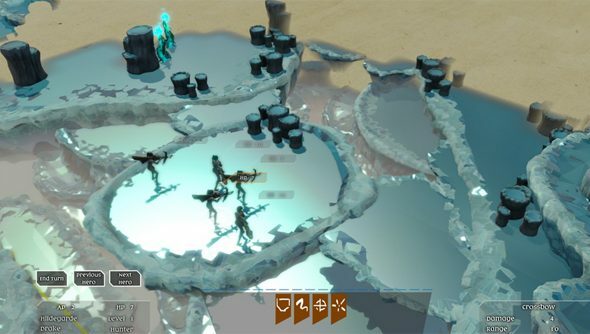 Double Fine’s community capital might have diminished a little in the wake of Spacebase DF-9’s early exit and the overscoping of Broken Age – but that second Kickstarter win remains a very compelling turn-based tactics concept in the hands of a deeply capable studio. So it’s a pleasure to know it’ll be on Steam in some form by the end of the month – even if access is fairly tightly restricted for now. We tend not to take Kickstarter release estimates too seriously, because game development – but it is true that Massive Chalice’s given time of delivery was September 2014. September having come and gone, Double Fine have taken to their blog to talk about where the game’s up to. Backers who paid $50 or more for early access to the game will be invited into a “premium” Steam beta on Tuesday, October 21. No word yet on how far along that version of the game is – but Double Fine intend to gather “a ton” of feedback, so don’t expect 1.0 too soon. That said, we already know a Xbox One deal for Massive Chalice hasn’t pushed back its PC release. What did you like best about Massive Chalice’s pitch? I liked the idea of ageing heroes, and project lead Brad Muir’s smile.